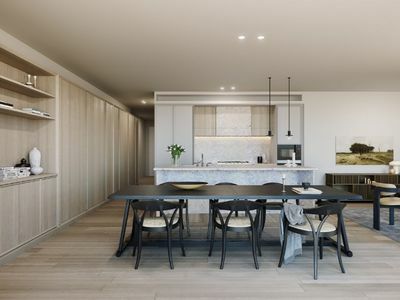 Located in the Young Street sector of the exclusive Loftus Lane development currently in progress at Circular Quay – this three bedroom designer apartment with views of the Sydney Harbour Bridge is located in what is destined to be the newest ‘must-have’ address in Sydney. 15 Young Street by is defined by a sense of privacy, beauty and comfort. Designed to frame the outstanding views, strategically-placed apertures capture the best light and vistas, creating the sense of a house in the sky. The largest of the three buildings, 15 Young Street is striking. Apartments appear to float above the ground, with rich masonry elevating residential levels and allowing views to the water. 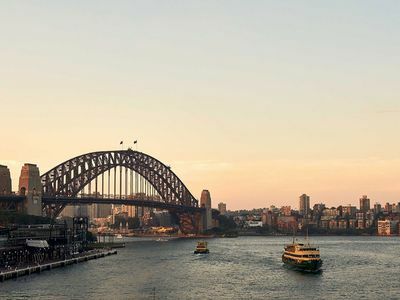 Located in Australia’s most significant heritage and cultural precinct, Loftus Lane is a short stroll to the Opera House, Museum of Contemporary Art, Customs House and Botanic Gardens. 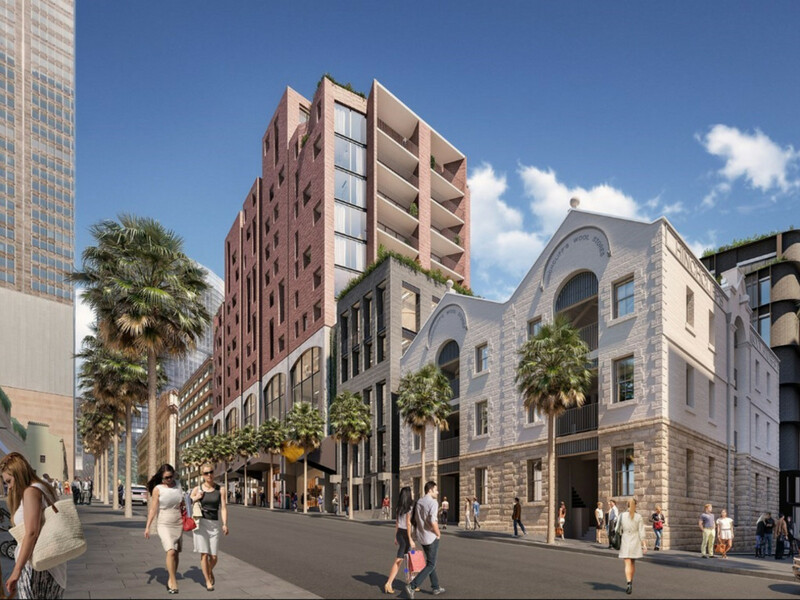 Home to Sydney’s best restaurants, old favourites such as Café Sydney and Bennelong will be complemented by new choices of rooftop bars, cafes and provedores, including the historic Hinchcliff House woolstore which will be revitalised as a new local go-to. 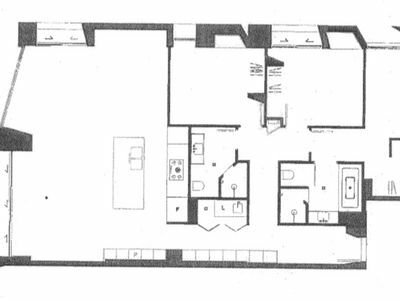 Within stepped landscapes, each apartment is specifically designed to make the most of its individual aspect, with carefully planned view corridors and privacy screening. 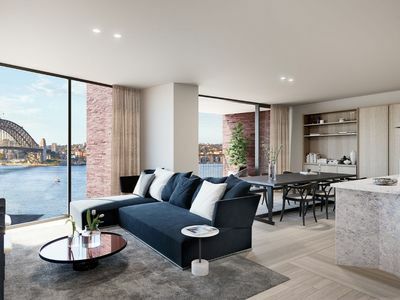 Balconies and windows twist towards the best views, including Sydney Harbour. The edges of the building provide quiet spaces, creating an intimacy rarely found in the city. 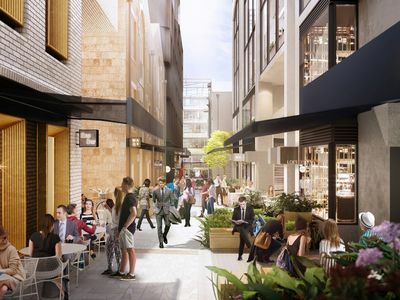 Green spaces are also integral to the building design, with roof gardens and landscaped crevices that bring nearby parks right up to your window. A home-like retreat, 15 Young Street has been designed to create a sense of richness and tranquility that provides the perfect complement to the vibrancy of the city. Inside, quality design and materials and a diversity of products have been carefully selected to improve the texture of everyday life. Each and every element is designed for a purpose, resulting in a refined and casual elegance. Whether it’s your family home, city residence or personal retreat, each apartment provides a sense of privacy, comfort and beauty – a cherished escape where you can be yourself. 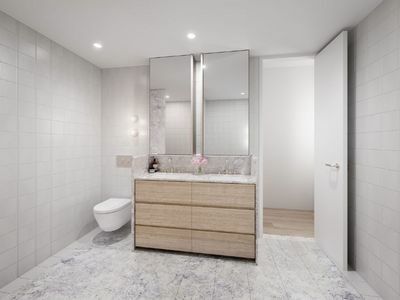 Don’t miss this opportunity to secure this stunning apartment in what is to be the ultimate Sydney address. Contact Bernadette Rayner on 0414 330 907 to discuss.